Dr Inge Kriel explains the benefits and the risks of taking supplements after breast cancer. No supplement can take the place of a healthy balanced diet, accompanied by enough water, sleep, and exercise. This seems easy enough…in a perfect world that is. A perfect world where one has easy access to non-processed, high quality whole foods. A perfect world where moms don’t work full-time, and can maintain a household and look after kids (husband included) while trying to exercise, eat properly and sleep, all in 24 hours. Many resort to supplements to help boost their health and cope with their fast-paced lifestyles. But is there any evidence that supplements make any difference and don’t in fact cause further harm? Breast cancer survivors are especially likely to use supplements, and many are prepared to try anything to manage the many side effects of cancer and cancer treatment, and indeed anything that promises to have anti-cancer properties. According to the American Society of Clinical Oncology (ASCO) guidelines, essential supplements for breast cancer survivors to promote bone health, include calcium (1200mg/day) and vitamin D3 (1000 units/day). Furthermore, zinc may assist in managing symptoms of costochondritis (inflammation of the junctions where the upper ribs join with the cartilage that holds them to the breastbone, or sternum.) Vitamin E and sage may help with hot flushes. However, many supplements have not been adequately researched in large randomised controlled trials and there is very little evidence to show there is any benefit in consuming supplements. Furthermore, there is the pervasive misconception that because supplements are natural, they have no side effects and there is no potential for toxicity. Certain herbal medications are metabolised via the same pathways as tamoxifen, and can therefore decrease tamoxifen levels in the body, with potentially hazardous consequences. Turmeric, known for its anti-inflammatory and anti-cancer properties, is great in aiding with cancer prevention. However, when there is an established breast cancer, it can interfere with tamoxifen. St John’s Wort has also been implicated in decreasing tamoxifen levels and decreasing the efficacy of certain chemotherapy agents. Other supplements which are not advised in breast cancer patients include: black cohosh, chaste berry, red clover, wild yam, and soy. Herbal supplements may also interfere with other commonly used medicines, such as warfarin and antidepressants. They may either potentiate or diminish their efficacy. It’s therefore crucial to have a discussion with your oncology care physician, to ensure that you don’t potentially increase your risk of breast cancer recurrence, or increase your risk of other adverse effects (including bleeding), through the interaction of herbal supplements with conventional medications. Judicious use of supplements may be of benefit for breast cancer survivors, but the saying ‘less is more’ may be the most prudent approach. 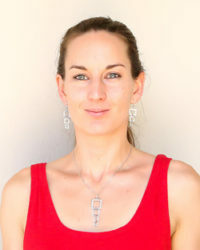 Dr Inge Kriel is an oncology care physician practicing at TimRon Health and Wellness Centre in Fourways, JHB.